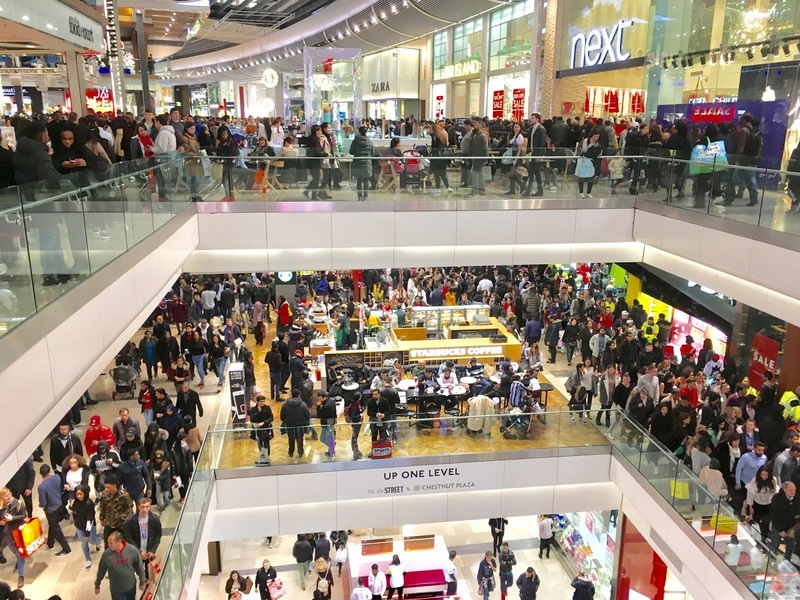 Boxing Day Sales: The Good, The Bad and The Bargains! I hope you all had a wonderful Christmas day/break. Some of you may have spent your Boxing Day dreamily looking through all your new presents, resisting the urge to consume your weight in chocolate or fighting the smell of rotting brussel sprouts coming from all your festive relatives! This was my first ever attack at the BD sales! I have always been intrigued, but never found the willpower. Now I have a blog, I felt I owed it to my readers and fellow bloggers to hit those bargains, and boy did I hit them hard! 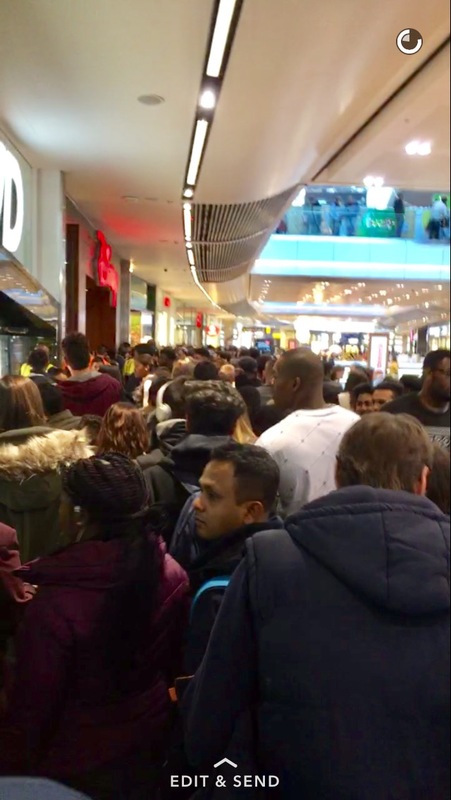 Here is my round up of the Westfield, Stratford Boxing Day Sales. Keep reading for a lil haul of what I got! I met my friend Jordan early on Boxing Day at Stratford station. As it was Boxing Day, the shopping centre was open from 7am! We didn't meet that early but we deffo thought about it (sleep won!). Boots was our first stop! As anticipated, there was a huge 50% off all of the Christmas gift sets including products like Soap and Glory, The Sanctuary and Ted Baker etc. However, it wasn't these that caught my eye! I have been meaning to buy a NYX Liquid Suede lipstick for ages (since seeing Zoella wear it non stop!) So I finally had my chance and picked one up in number 07. This technically isn't a sale item, but I think it's still an absolute bargain at £6.50! After a little stop in Tiger, we found ourselves in Victoria's Secret. I did find myself overwhelmed with endless amounts of bras and knickers, however, I didn't find myself overwhelmed with endless amounts of bras and knickers that I liked much. LUSH was a must stop shop! After hearing the website was crashing at the start of Boxing Day, I wanted to see what all the fuss was about! By this point, it was nearing lunch time and the centre was filling up with people extremely quickly! Luckily there was a lot of extra staff and security on hand, though it didn't stop me getting super squished! A quickie in Primark turned out to be a long-ie in Primark! Not only was it packed, but the queue was like something you'd see for the best ride in Thorpe Park! I wasn't too impressed with this store in general. I was hoping for a Primark Tottenham Court road vibe, however, I was left with a Primark Lewisham 2008 vibe... disappointing. H&M Homeware was total goals! After a little more browsing through shops like TKMaxx and H&M, we arrived at the M&S sale! There was 50% off bras and underwear. I found a really cute non padded bra and a basic pack of knickers - always handy! Lastly, we had a great time browsing the HUGE New Look sale! I came away with a lovely velvet dress and a new backpack! At the till, I had one of those moments every bargain hunter loves- the extra reduction at the till! I thought the dress was £9.99, but ended up paying only £6.00! Woo! What did you guys think of all my purchases? I think I did a pretty good job. I was just a little bit curious about how much I spent/saved so here's a little tally-up! Amazing! Who says you have to spend fortunes to look good eh? !